In July ­­­2008, Manuchar chartered a vessel from SPL Shipping. A dispute arose resulting in Manuchar commencing arbitration in London. SPL Shipping failed to participate. 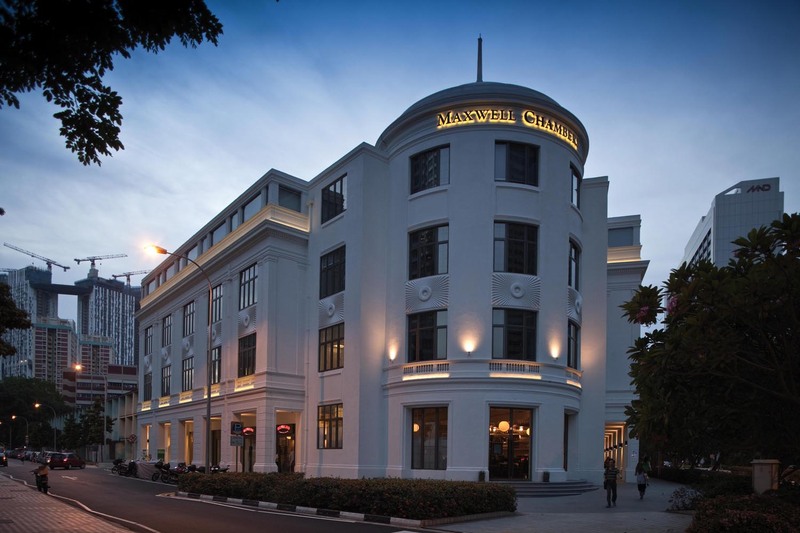 In default, two arbitral awards were rendered in Manuchar’s favour, leading to steps taken to enforce the awards in Singapore. However, enforcement was ineffectual. Manuchar then sought enforcement of the award against a third party, Star Pacific, on the grounds that SPL Shipping and Star Pacific were part of a “single economic entity” as both were part of the same corporate group. Manuchar then sought an order from the court for pre-action discovery of certain documents from Star Pacific to support this action. The court dismissed Manuchar’s application. Among other things, the court held that Manuchar’s intended cause of action, even with sufficient evidence, was unviable at law. This decision was based on two grounds. First, Star Pacific was not party to the arbitration agreement. Borrowing the words of the Singapore Court of Appeal in PT First Media TBK v Astro Nusantara International BV  1 SLR 372, the court here noted that allowing enforcement against a non-party to the arbitration would be anathema to the “internal logic of the consensual basis of an agreement to arbitrate”. The court, citing the well-known English decision of Peterson Farms Inc v C&M Farming Ltd  1 Lloyd’s Rep 603, held that an arbitral tribunal has no jurisdiction to make orders binding on parties which have not entered into binding arbitration agreements. Secondly, the “single economic entity” concept relied upon by Manuchar was conceptually very difficult to reconcile with the established doctrine of separate legal personality and the narrow exceptions for the piercing of the corporate veil. This basic tenet of company law ensures that businesses can structure their transactions to take advantage of benefits conferred by law. Only in very limited circumstances of abuse, such as evasion of the law or frustration of its enforcement, can the corporate veil be pierced. The court also compared the unidirectional movement of liability (in the direction of the ultimate controller) when abuse of the corporate form occurs, to the multidirectional movement of liability should the proposed “single economic entity” concept be held valid. In the former situation, parent companies will only be liable for obligations of their subsidiaries. However, in the latter situation, companies could be held liable for the obligations of both their subsidiaries companies as well as other related companies (e.g. “sister” companies). Conceptually, the High Court was concerned that the idea of “one for all, all for one” under the “single economic entity” concept would have wide-reaching implications. As a practical example, the High Court referred to the well-established practice of one-ship companies. Regarded as legitimate practice for shipping businesses to limit their liability, it is settled law that a one-ship company is not liable for losses caused by a sister ship owned by another company. It is well-established that a company and its owner are separate legal persons. The leading case, Aron Salomon (Pauper) v A Salomon and Company, Limited  UKHL 1 held that save for very limited exceptions, the company has rights and liabilities of its own which are distinct from those of its shareholders. It is also generally accepted that consent is central to the formation of an arbitration agreement. Combining the two, only companies which have consented to an arbitration agreement may enforce arbitral awards or bear liabilities flowing therefrom. It follows that third-party non-signatories, including their shareholders, are prima facie precluded from holding any rights and obligations flowing therefrom. It has been said that exceptions exist to this general rule. Some such “exceptions” are found in private law principles: assignment, agency and succession. When contracts are assigned from one party to another; when agents conclude or perform contracts on behalf of principles; or when companies merge to form new entities, arbitral obligations might correspondingly be “transferred”. However, properly understood, it would be misnomer to refer to such doctrines as “exceptions” to the rule of privity – these private law principles instead serve to identify, as a matter of law, the correct parties to the arbitration agreement. Some reference need be made to the famed decision in the Dow Chemicals decision (Interim Award of September 23 1982 in ICC Case No. 4131). This case gave birth to the highly controversial “group of companies” doctrine, known to be limited in application outside France. Under this doctrine, an arbitration agreement signed by one company in a group of companies entitles (or obligates) affiliate non-signatory companies, if the circumstances surrounding negotiation, execution and termination of the agreement show that the mutual intention of all the parties was to bind the non-signatories. The Singapore High Court noted that there was a “striking similarity” between the “group of companies” doctrine described above and the “single economic entity” concept advanced in Manuchar. The Singapore High Court, following the Peterson Farms decision, noted that the approach embodied by the “group of companies” doctrine had been described in that case as being “open to a number of substantial criticisms” and “seriously flawed in law”. In so doing, the Singapore High Court held that it was “beyond doubt that an arbitral award cannot impose enforceable obligations on strangers to an arbitration agreement”. The Singapore High Court has confirmed expressly that the long-standing and well-established principle or separate legal personality remains applicable in the context of enforcement of arbitral awards. Singapore law is clear that limited exceptions exist for piercing the corporate veil. Beyond these exceptions, which are narrow in nature, situations where third-party non-signatories may be bound by an arbitration agreement are likely to be extremely limited.